Questions about the future of work and what people will be able to contribute have become more pressing in recent years, with companies unveiling machine automation and Artificial Intelligence breakthroughs that increasingly test our notion of what it is to be human. It was in May last year that the artificial intelligence system Google Duplex stunned the world by carrying out a phone conversation naturally enough to book a hair appointment for a ‘client’. Around the same time, British online-only supermarket Ocado released footage of their mesmerising ‘hive’ — the company’s grid-like warehouse populated and run entirely by machines. Examples like this are obviously going to spark fear that robots are taking our jobs or, more dramatically, that AI will someday run the planet. It’s no longer enough to argue that machines cannot do everything a human can, or that AI is not as smart as a human. We can point all we like to AI failures like IBM’s Watson, a supercomputer that was supposed to advise doctors on cancer treatment plans but which a late 2017 STAT investigation found is “still struggling with the basic step of learning about different forms of cancer”. But machines are becoming as if not more capable than human labour, and we have arguably already created AI that can perform human functions in a human-like way. So whether robots are capable of doing our jobs is not the question anymore. The real question is whether it’s still fundamentally true that people need and want a human touch. Even if robots and AI were capable of removing the need for all human labour tomorrow, would we allow this to happen across all jobs or only some? In what instances (if any) will we continue to choose the work of people over the convenience that machines provide? At 26 years old, Bryce Davies is right on the average age of employees at Tanda, an Australian-born startup dominating the international workforce management sector. 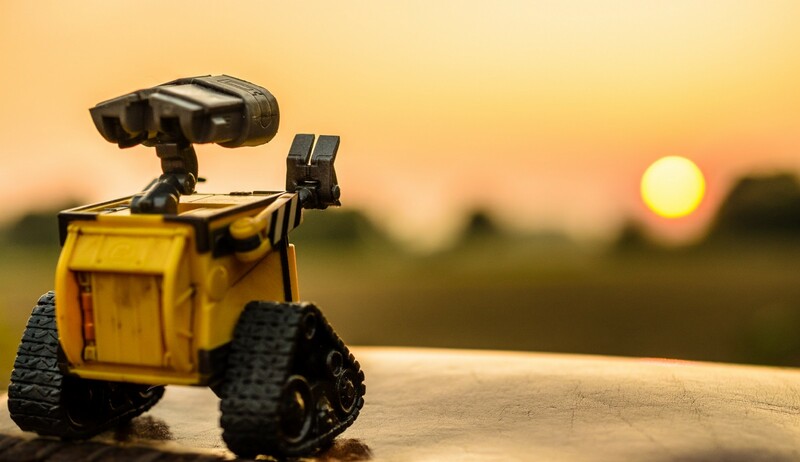 He is the company’s General Manager in the United Kingdom and while his role centres around selling automation and artificial intelligence-powered software, he’s not scared that robots will replace him anytime soon. Neither does he think that people should be worried about technologies like Tanda automating workers out of a job. It’s true that payroll is not the most glamorous or rewarding of jobs. It’s not often that a payroll person or team will get thanked for their work. Who thanks the payroll department for paying them on time and correctly? It’s just expected. Bryce turns to hospitality as another example. Tanda is certainly not lacking experience in this space, with players like Domino’s Pizza and the Australian juice bar phenomenon Boost Juice on its books. “The waiters serving, the people behind the bar are the face of your company. They’re the people who your customers interact with and if a customer loves your product but hates your service, it’s not likely that they’ll come back. “But then you have the more repetitive roles in a kitchen, like washing the dishes. These are the jobs that are at risk of automation, because it’s hard to say that there’s an art in washing the dishes. It’s just something that needs doing because we want to put more food on plates that were dirty before. It’s a statement particularly true in the artisan sector, which is thriving globally on consumers’ curiosity about and attention to the story of the product, the methods of production and, of course — the maker. Take the craft beer and brewing industry: According to accountancy group UHY Hacker Young, there are now 64 per cent more breweries in the UK than there were five years ago. In the United States, between 2008 and 2016, the number of breweries increased sixfold and the number of brewery workers grew by 120 per cent — and it all happened at a time when US beer consumption was in decline. Bryce has grown to understand the value of human interaction more than ever over the past few years. When he left Australia for the United Kingdom for work in August 2017, he was only supposed to stay for three and a half months. He ended up moving permanently to London after the market proved profitable enough for Tanda to run a local office. It was late 2017 and so he braved his first British winter, encountering the icy rage of the ‘Beast from the East’. Bryce’s story is one that Leni Zneimer, the General Manager for WeWork UK & Ireland, knows all too well. “Technology can supplement a community, but not replace it,” Leni says. “Human connection is irreplaceable.” Surely, with the worldwide number of coworking spaces having grown by more than 200 per cent over the past five years, the industry is tapping into a very real need. The offering, Leni explains, is “much more than bricks-and-mortar”. It’s the community, the culture and the potential for collaboration. Founded in 2010 as a trendy space for startups to work and collaborate, WeWork is currently valued at around $20bn following a funding round in August 2017. In January last year, the US company become the largest corporate office occupier in central London. Globally, it’s the industry leader. “When [our] co-founders Adam and Miguel began the company, they were operating at a time … when big business and the startup scene had very distinct cultures,” says Leni. The idea was to create attractive shared office spaces that would not only appeal to individuals wanting to be part of a community, but also to corporations seeking a more collaborative and innovative culture. Now, Enterprise Members (companies with over 1,000 employees) make up 25 per cent of WeWork’s global membership, and one in four Fortune 500 companies base themselves from a WeWork space. The move towards more collaborate environments is not a new trend. Even back in the 1940’s, the pioneering companies of modern computing and electronics like Bell Laboratories were laying out their offices in ways that encouraged frequent meetings and spontaneous encounters. After all, great leaps of progress — from the printing press to the Space Race and, not to mention, the invention of the internet — are usually the result of many minds fusing together hundreds of small ideas. Complement this with human-machine collaboration and the synergy can enable companies to interact with employees and customers in the most innovative and effective ways. Collaboration is profitable. Working with people makes us happier, healthier and as several studies have found (most notably the trailblazing 2010 research paper by Julianne Holt-Lunstad, a Professor of Psychology and Neuroscience at Brigham Young University) it can even save our lives. We cannot hide from the fact that the types of jobs, how we do them and where we do them has changed dramatically over the last few years, let alone the span of human existence. After all, we didn’t always work in office cubicles, counting down the hours. We used to work sporadically and seasonally — when the wheat needed harvesting, when there was a horseshoe to fit and when market day came around. It was only within the last century and a half that governments around the world began legislating an 8-hour workday. And it wasn’t until 1926 — when Henry Ford began closing his automotive factories for all of Saturday and Sunday — that the concept of the ‘week-end’ first arose. “I think that, since the beginning of humanity, how much we’ve allowed technology to change our lives has always been guided by the fundamental needs of a human being,” Tanda’s Bryce Davies observes. “I don’t think Maslow’s hierarchy and all those sorts of frameworks will be reinvented. I think people still have a deep need for connection.